Eynon Price offers a comprehensive range of commercial landscaping services to many organisations including schools, local authorities, equestrian sports field drainage and private customers in and around Carmarthenshire. 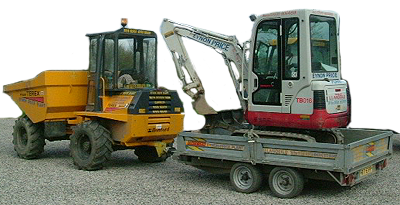 All Jobs undertaken are completed using our wide range of equipment, including various sizes of diggers, dumpers and trailers from 1 to 16 ton Having been established since 1979, Eynon Price Plant is a well grounded professional company specialising in all aspects of groundwork. Eynon Price is a fully licensed waste carrier and has fully licensed waste transfer station. This means that your site can be rid of unwanted waste and debris without having to hire somebody else. We cover Carmarthenshire, Cardiganshire and South Wales! (c) 2017 landscaping-specialist All rights reserved.